Less plants per hectare: growers have found that they can plant less plants per hectare with the same or better results. This allows the roses to fully develop and grow strong. We generally advise to plant 6,5/7,5 plants m2 depending on the variety and the greenhouse technology used. The PRO roostocks offer a choice: do you want more, longer and/or thicker stems? This allows you to produce roses for your specific market. More efficient roots means healthier plants that have better prune resistance and are less sensitive for diseases. Protatu and Protano are not new. Both rootstocks have been tested for more than 7 years on commercial farms in Africa and the Netherlands. At Stokman Rozen Kenya we keep a bed of Sonrisa which is now 12 years old and still producing! As of today we have experience with hundreds of varieties both in commercial plantings or trials. 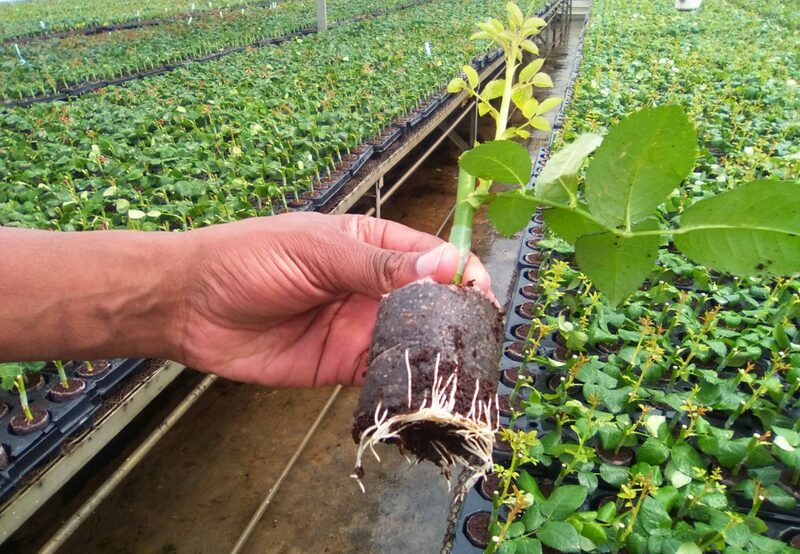 We are happy to advise you on the best rootstock for the variety you want to plant. 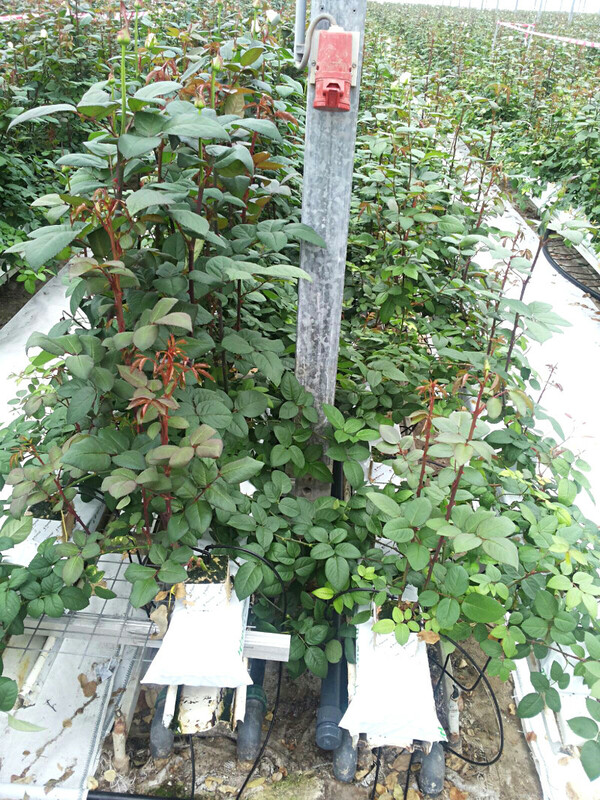 Our rootstocks are available for commercial rose growers. Please contact us or one of our distributors & partners if you are interested. Our distributors are happy to show you around in the show houses in the Netherlands, Kenya, Ethiopia, Ecuador, Colombia and India. Visual difference: left Vendela on Protatu, on the right cuttings. Both rows were planted the same day.